By buying this product you can collect up to 36 points . Your cart will total 36 points that can be converted into a voucher of ₱36 . 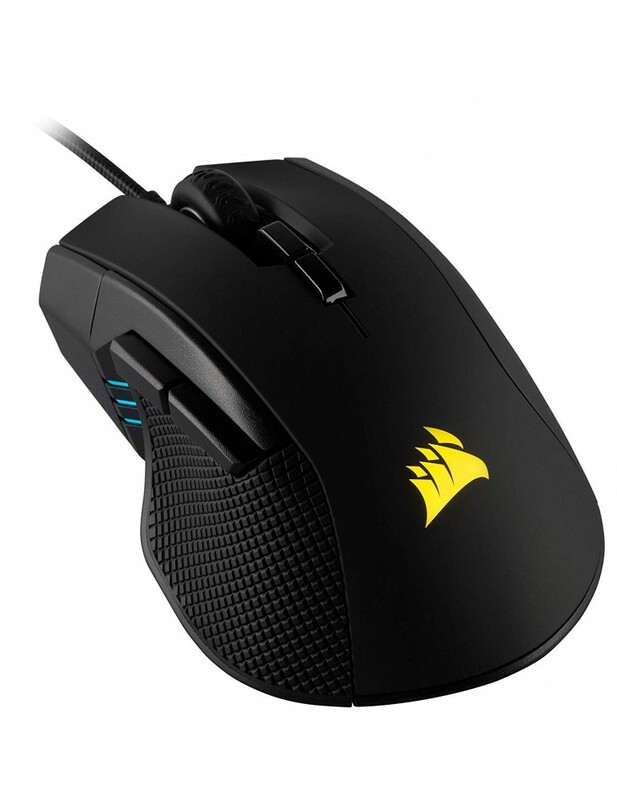 The Corsair ironclaw RGB Gaming mouse combines a performance 18, 000 DPI precision optical sensor with a 105G lightweight body and durable contoured shape that's sculpted specifically for palm-grips and larger hands. Powerful Corsair CUE software allows you to precisely tune sensitivity in 1 DPI steps, as well as customize the seven programmable buttons with macros or remaps to give you an in-game edge. Cue software also unlocks Dual-Zone RGB lighting control, allowing you to instantly synchronize lighting across all your iCUE compatible Corsair devices, from mouse to case Lighting and more. Boasting the ultra-accurate customizable precision you need to take your game play higher, with the Corsair ironclaw RGB, victory is in hand. The IRONCLAW RGB Gaming Mouse features a lightweight design at 105g and a contoured shape that’s sculpted specifically for palm-grips and larger hands.